The mission of Connect for Health Colorado (C4HCO) is to increase access, affordability, and choice for individuals and small employers purchasing health insurance in Colorado. Connect for Health Colorado, Colorado’s health insurance marketplace, is a nonprofit organization governed by a Board of Directors with additional direction from a committee of state legislators, known as the Colorado Health Insurance Exchange Oversight Committee. Project Summary: Connect for Health Colorado uses CO APCD data in their Quick Cost and Plan Finder tool to help customers quickly and anonymously estimate annual costs and preview plans. An important output of this tool is that in less than two minutes a potential customer can see if they might qualify for financial help to reduce their health care costs, including premiums (Premium Tax Credits) and out-of-pocket costs (Cost-Sharing Reductions). The Marketplace wanted to provide this alternative for customers that might not be ready to invest in the actual application process, which can be involved and time consuming. Knowing that customers often buy on premium alone, Connect for Health Colorado also wanted the tool to educate the customer about ALL of the potential health care costs they might incur over the course of year. With a few other data field entries by the user, the tool will estimate their annual out-of-pocket costs based on health usage. The out-of-pocket costs are tailored to each plan’s premium, deductible and copays and/or coinsurance, and displayed by plan on a results summary page at the end. 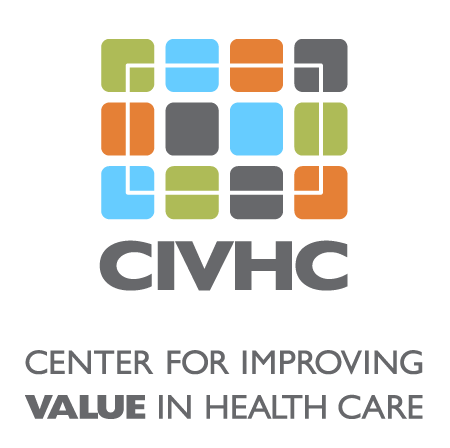 Using commercial claims data from the CO APCD, CIVHC calculates the average annual total cost of care and health service utilization for Coloradans in different demographics, including age and gender. This data is used to calculate the out-pocket-costs. While several other insurance marketplaces have similar customer decision-support tools, they all use national data to calculate out-of-pocket costs. Connect for Health Colorado’s tool is the only tool that estimates costs using state-based data, giving users a more accurate estimation of their costs for where they live. As of 2017, medication costs are also included in the out-of-pocket costs. Benefit to Colorado: Through marketing research, Connect for Health Colorado learned that many Coloradans significantly underestimate the amount of annual income that would qualify them for financial help, causing them to unnecessarily take on a significant financial burden or forego health insurance all together. This tool gives them a quick and easy way to check if they would qualify and for how much. With the help of this tool, more than 165,000 Coloradans signed up for health insurance for 2018 and Colorado’s uninsured rate dropped to an all-time low of 6.5%. This tool is also an important part of the organization’s efforts to increase health insurance literacy among its customers. If a customer has a more thorough understanding of their total annual costs over the life of a health insurance plan, they are more likely to make a better buying decision for their family and budget. The plan with the lower deductible is not always the least expensive plan overall when out-of-pocket costs are considered. Estimating these costs would not be possible without CO APCD data.